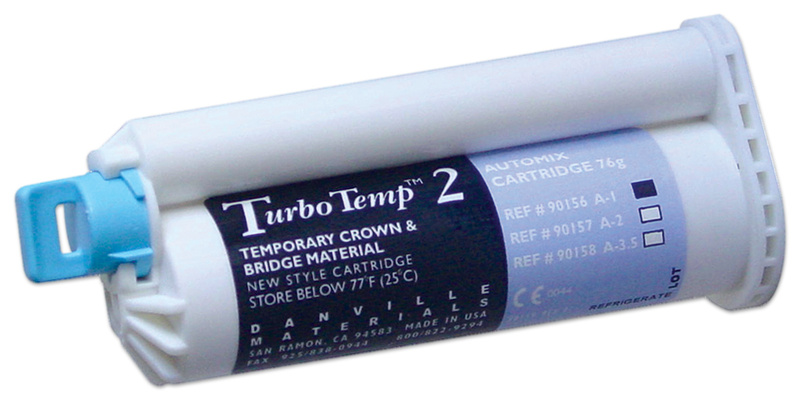 Bis-Acrylic composite material for temporary crown & bridge restorations. Low 0.4% shrinkage. True Vita-shade match. Uses DS 50 or DS 74 guns marked 4:1/10:1. Intraoral setting time 1' 30"
Contains: 1 x 76g cartridge (new style) and 10 mixing tips. Mixing tips have blue hub, clear barrel, and orange mixer.